A pastor is petitioning Chicago, Illinois to rename two parks in African-American neighborhoods, because they are named after George Washington and Andrew Jackson – two US presidents who owned slaves. "When my children and grandchildren walk through these parks and say, 'Grandfather, wasn't he a slave owner?' how do I explain that and how do I reconcile that with their views of what heroes are?" Bishop James Dukes told WGN. "I'm not trying to eradicate history," said Dukes, pastor of Liberation Christian Center. "Let's put history where it belongs so it can be explained and taught properly." 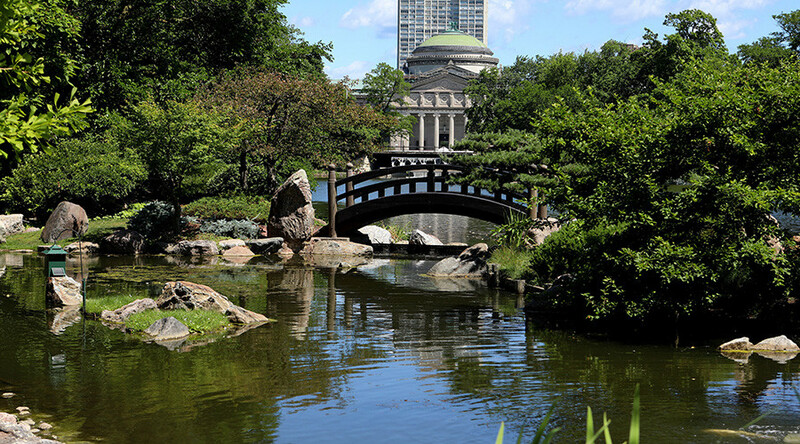 Both parks are located on Chicago’s South Side. A bronze statue of George Washington on horseback stands in Washington Park. Dukes suggested to WBBN that it be renamed after former Chicago Mayor Harold Washington and Jackson Park could be named after civil rights leader Reverend Jesse Jackson or the singer Michael Jackson. Mayor Emanuel has not commented on Dukes' request but Dukes said he'll be soon meeting with a city official to discuss the process of changing the names. The pastor’s request coincides with a major drive across the US to remove Confederate monuments from public places. At Trump Tower Tuesday, during a heated exchange with reporters, President Donald Trump appeared to defend the statues. 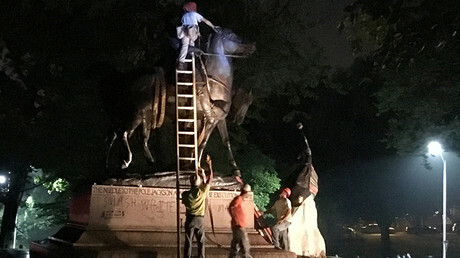 Overnight, Baltimore’s Mayor Catherine Pugh ordered the removal of four monuments from city parks which had ties to the Confederacy and the US’s history of slavery. "I thought there was enough grandstanding, enough speeches. Just get it done," Pugh said about her decision, according to Baltimore Business Journal. If you want to remove symbols of white supremacy why are you limiting it to confederacy? Yes Trump, Jefferson & Washington must be next. Baltimore City Council had on Monday passed a resolution authorizing the removal of the monuments. A year ago, the city under the previous administration, commissioned a task force to review the process involved in removing the statues. On Tuesday, around 100 protesters in Durham, North Carolina toppled a statue honoring Confederate soldiers. The take down in Durham was in part galvanized by a confrontation in Charlottesville, Virginia last weekend, when a rally called to unite white supremacist groups around preserving a monument dedicated to Confederate General Robert E. Lee turned violent in clashes with anti-racist groups. Over the course of the weekend a man drove his car into a group of counter-protesters, killing a woman and injuring 19 people. African-Americans have historically objected to the presence of Confederate symbols – especially on government property, at sporting events and in public places – because of its long association with the history of slavery in the Southern states and of its use by the Ku Klux Klan during its terror campaigns in the South, and use by white supremacist groups. South Carolina authorities responded by removing the Confederate flag monument from the state capitol grounds in July that year.